Summer On at Shoppers Drug Mart! 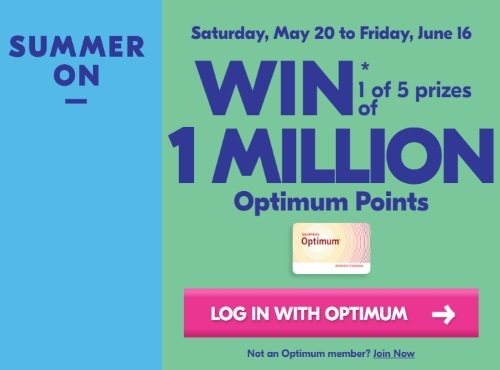 Enter to win 1 of 5 1 Million Optimum Points! Get a PIN card when you spend $10 or more on almost anything in the store. Plus play the Summer Guessing Game for a chance to instantly win a $25 gift card. Offer is valid May 20-June 18, 2017. Pin codes will be given out until June 16 or while quantities last. Pin codes must be entered by June 18.